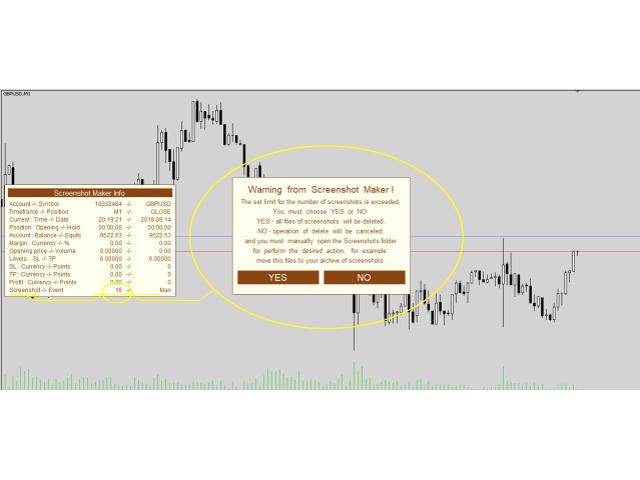 The program automatically creates screenshots of the chart when trading events appear, install and modify Stop Loss and Take Profit stop orders, and change the positions volume. It is also possible to take a screenshot at any time by pressing a pre-selected key. This version of the program for Netting account and is made as a "Custom Indicator", but in fact it is a utility and it is useless to test in the strategy tester because it does not work with historical data. The program is adapted for netting accounts. 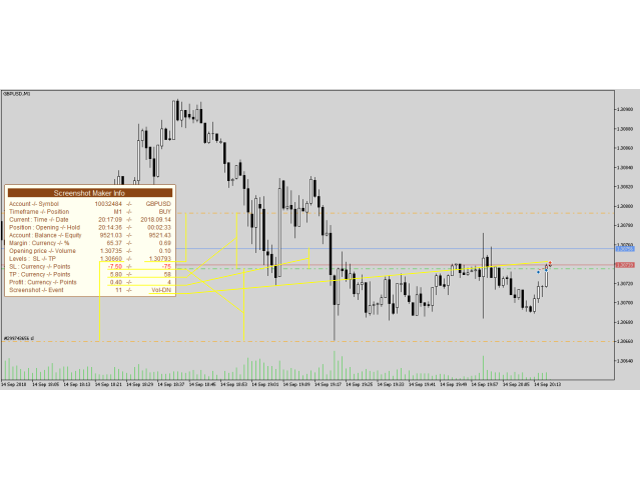 The program is installed as a normal indicator, it does not interfere with the work of other established indicators and advisor. Selection of a key for manual control of a screenshot. The ability to enable or disable the audio notification in the screenshot. To specify the desired file name for the sound notification, here you should enter only the file name without specifying an extension, the file should be located in the standard folder with the terminal sound files and have the format .wav. Set the duration of information display on the chart at the current position in seconds, if you specify the value "0", the information will not be displayed at the time of shooting. Set the maximum acceptable number of screenshots files when exceeding which will be offered to delete all screenshots made by the program or cancel this operation and manually deal with the accumulated screenshots, for example, the current ones can be moved to the personal archive. 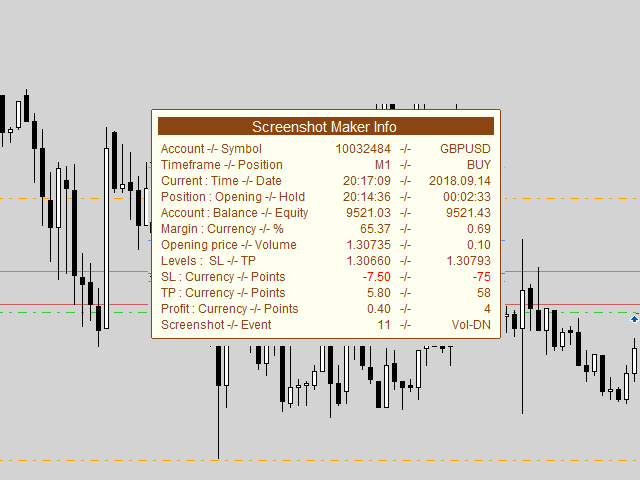 The screenshots files are located in the Screenshots folder located in the terminal installation location and located along the MQL5 \ Files path. Please note: when you uninstall the program, all screenshot files will be permanently deleted. The way to delete objects when the indicator is deleted is changed.